DJ April is a Thailand born, HONG KONG -based DJ who has been spinning for ten years. She considers herself to be two DJ's: one as an open format DJ that wows any crowd from Hip-Hop, and the other as one that prefers to showcase a passion for amazing electronica. For the first time in Pakistan, Model Next Agency has gotten the Opportunity to Organize her Concert. 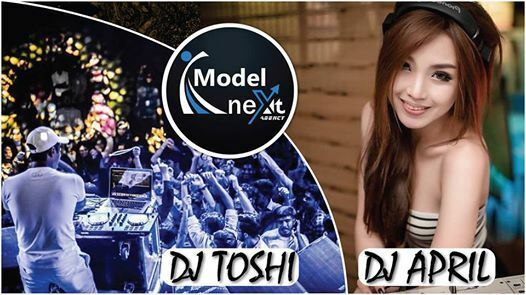 Yes, DJ April from Thai, is actually performing in the capital Islamabad, Pakistan. Model Next Agency is Registered with Government of Pakistan and Federal Bureau of Revenue. We are geared to provide full fledged services in Event Management, Fashion Shows and other Theme based events catering to a diverse clientele. We welcome aspiring Models, Actors, Dancers, Photographers and Singers who have Serious interest in being a part of our Agency. GRAB YOUR PASSES AND BE A PART OF THIS EXCLUSIVE PARTY EVENT ! !